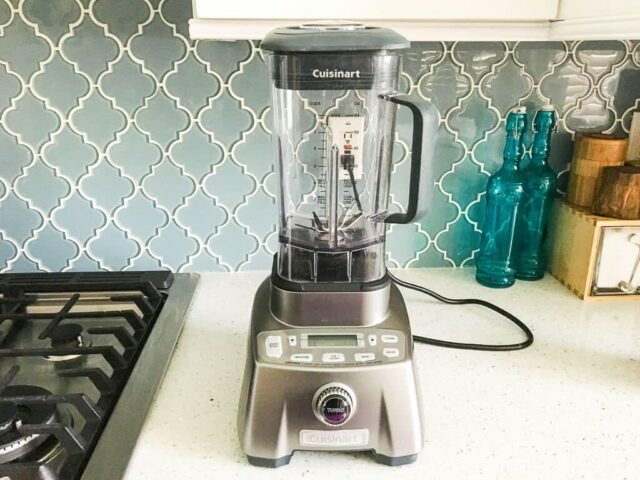 We are reviewing the Cuisinart Hurricane Pro CBT-2000 Blender, detailing both PROs and CONs. This is one powerful blender! Cuisinart put in 3.5 horsepower with a 30,000 RPM Turbo Boost feature. 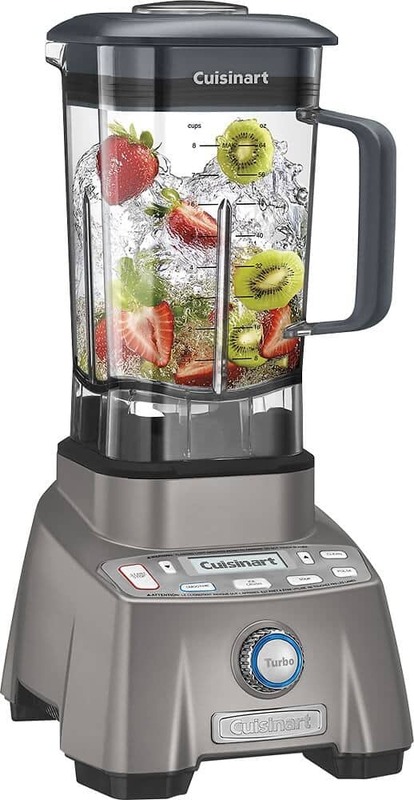 The blender comes with a BPA-free Tritan, 64 ounce jar. The problem I’ve found with some of high powered blenders is that the base is either A) too darn heavy or B) too light and the base vibrates while blender running high speeds. 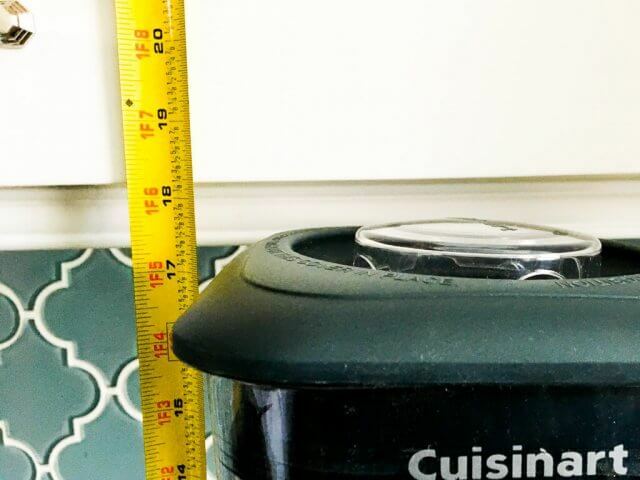 PRO: Cuisinart Hurricane Pro found the perfect balance – base is not too heavy to lug in and out of pantry, but solid and stays put during high speed blending. The entire thing only weighs 11 pounds. 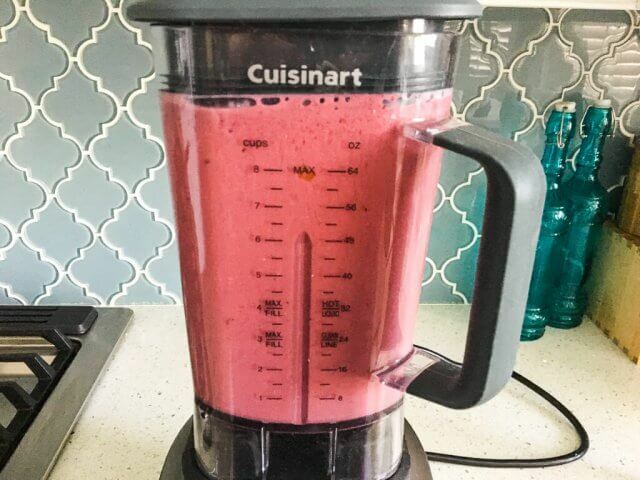 PRO: I really like this type of base, it’s just like my VitaMix. 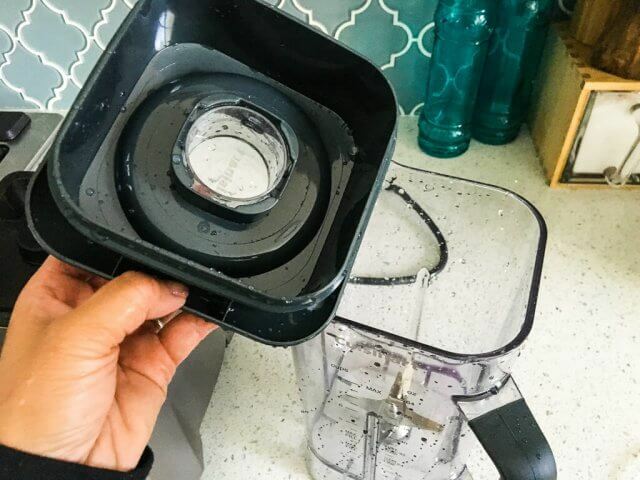 Because of the metal pieces on both the jar and base, there’s no warping (I’ve had blenders with plastic gear on jar that nicks and warps). CON: Arghhhh….it won’t fit under my cabinet. 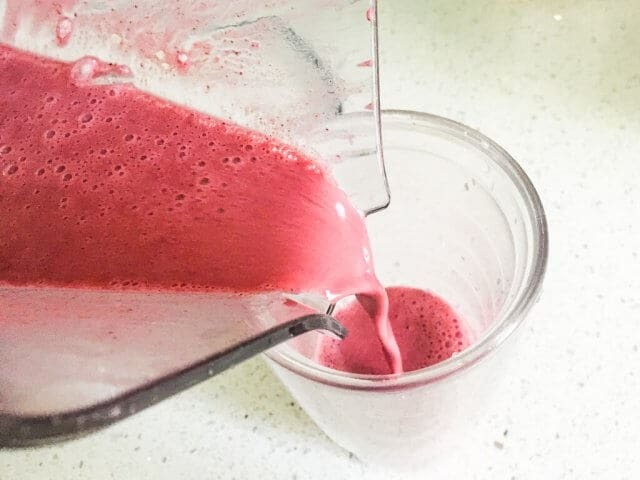 Making smoothies in our test – frozen berries, yogurt, honey and a little water. Lots of options, but not too many. Three pre-sets: smoothie, ice crush and soup. The knob adjusts the power. Push the blue knob button and you launch turbo. PRO: Some appliances are so minimalistic in their buttons and icons, leaving you confused, guessing or constantly referring back to manual. 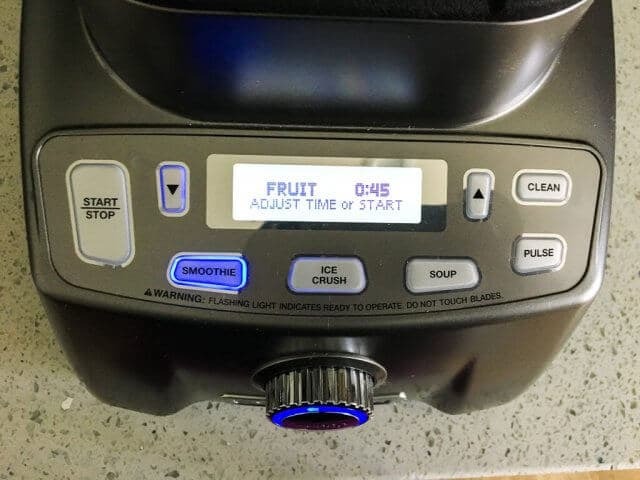 One of my blenders has icons – and I have no idea what the bubble icon is, or what the 2 droplets icon setting means. While the Cuisinart Hurricane Pro won’t win any design awards, the buttons are clear with words, and the LCD screen prompts you. PRO: Well, that was fast. 45 seconds later, I have a smoothie. The Cuisinart took care of business. 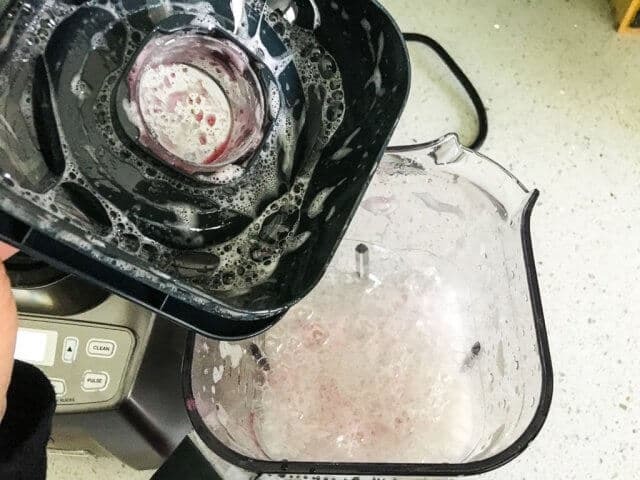 PRO: Cleanup is easy – just add water and a few drops of dish soap. CON: The lid is hard plastic. It fits well, but I actually prefer a softer, more rubbery lid from my Vitamix. I feel like I get a better seal with a thick, rubbery lid that grips the sides. 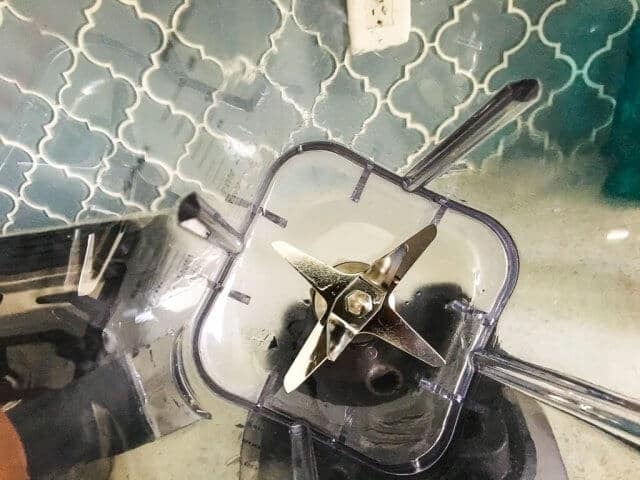 PRO: The blades don’t come out, there’s really no reason reach in down there, even to clean. There are 6 prong blades. I’ve never been a fan of blenders with removeable blade bottoms. Extra parts means more places that leak or get lost. 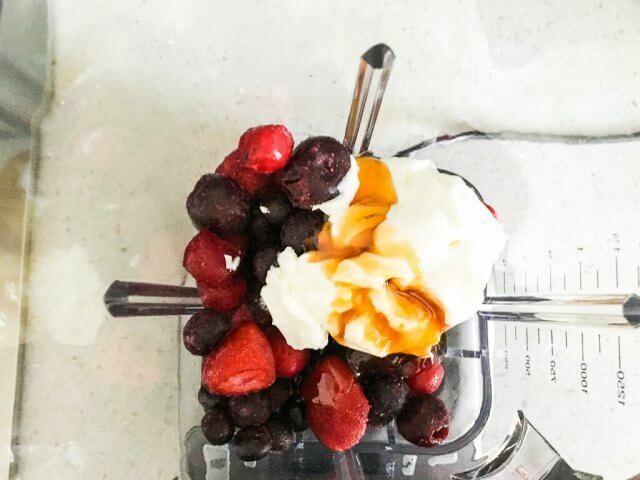 PRO: Consumer Reports LOVES this blender. 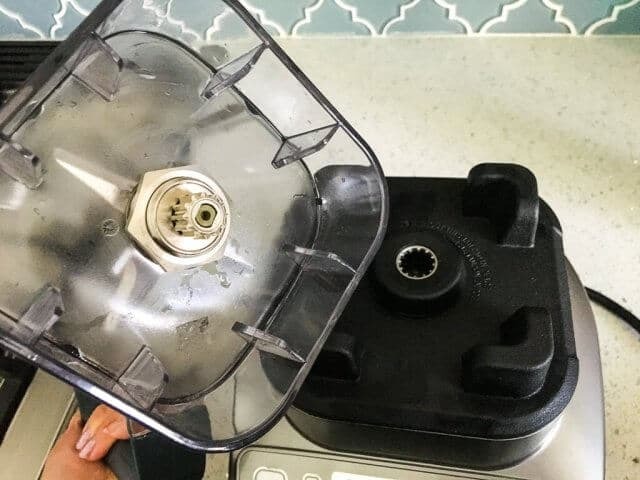 High praise, with a score of 81, “with no discernable flaws.” The only better performing blenders were VitaMix, at more 1.5x to over 2x the price.